Providing you the best range of hologram polyester film with effective & timely delivery. Application Identity cards, Scratch cards, Posters, Gift wraps and Pouch bottles. 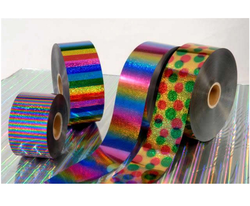 Hologram Polyester Film is manufactured at our unit by using highest quality materials. Looking for Hologram Film ?